AC Milan have reportedly set their sights on Man Utd midfielder Ander Herrera as an alternative to their summer transfer targets. The Rossoneri added Tiemoue Bakayoko to Gennaro Gattuso’s options in midfield this past summer, with the 24-year-old arriving on a season-long loan deal from Chelsea. However, the Italian tactician has continued to show a preference to rely heavily on favoured trio Giacomo Bonaventura, Lucas Biglia and Franck Kessie, and so in order to compete on multiple fronts moving forward, more is arguably still needed in that department. According to Calciomercato, with question marks raised over their ability to reach a deal for either Adrien Rabiot or Sergej Milinkovic-Savic, they may well turn their attention to Herrera as a possible solution with the Spaniard set to become a free agent next summer. Should he fail to reach an agreement on a renewal with the Red Devils before then, it’s noted in the report that Milan could make their move in January to try and prise him away in a cut-price switch. Time will tell if Jose Mourinho values the 29-year-old highly enough to ensure that he remains part of his plans beyond this season, but it would seem as though Milan are ready to swoop if not. Herrera has been a key figure for United since his arrival at Old Trafford in 2014, as he has gone on to make 163 appearances in his time at the club while helping them to an FA Cup, League Cup and Europa League trophy. 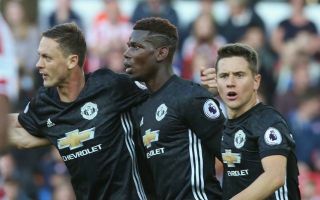 Nevertheless, with Nemanja Matic, Paul Pogba, Fred and Marouane Fellaini arguably all ahead of him in the pecking order, perhaps an exit from Manchester is the best option for him to enjoy a more prominent role elsewhere.